Help earn cash for Tanglewood Elementary. Simply by shopping or purchasing with these companies, we earn money that goes to our school. Please take a minute to link your rewards cards and online accounts. And encourage your friends and family to do the same! If you have any questions please reach out to Mindy Clark. 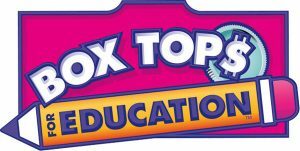 Find Box Tops for Education on hundreds of products. Clip box tops from each package, and drop them into the Tanga Tiger bin located in the front office. Each box top is worth 10 cents for Tanglewood. Tom Thumb will contribute 1% of your eligible grocery purchases to Tanglewood when you join their Good Neighbor Program. Stop by the service desk to link your rewards card to Tanglewood. Use our ID # 7020. Amazon Smile will give 0.5% of all eligible purchases to Tanglewood. Set Tanglewood Elementary PTA as your charity when you shop at Amazon Smile. And remember to do your Amazon shopping at smile.amazon.com.